A big yes, they certainly can. Children and clothes can add a lot of excess and this was definitely true for us. Because If it wasn’t me, bringing home all of the must have outfits from the shopping centre, it was my children, emptying said clothes onto the floor, again and again on repeat. And the washing, Oh the washing - a whole other load, seconds after I thought I was done for the day. When we simplified, the children’s wardrobes were one of the first things we minimised. We have gone from two whole wardrobes, to two cubbies each in a cupboard of four. Their previous wardrobes were filled to the brim with clothes - the clothes that they wore and those that they didn’t. Clothes that were too big and those that were too small. At this stage of parenting I wasn’t too sentimental about these items. Because lets face it, as we practically live at the park and the beach, our clothes often have signs of a day well spent. And I’d rather be okay with a bit of extra mess, than be too precious about a certain item of clothing..
My children’s wardrobe’s may be considered sparse to those with the mindset of more. But they really do have all that they want and need. I tend to size up when I am buying now, so that something can get more value per wear. This means that I can often afford to spend a little more but it’s not always been this way. We are a one income family and until recently, had mostly brought from the high street alone, as that is what our budget would allow. However, after all of the reading I have done on buying thoughtfully and with the emphasis on fast fashion, we are trying to change the way we shop, where and when we can. We are putting more focus into shopping small and buying ethically, whilst saving to buy items that are made to last. 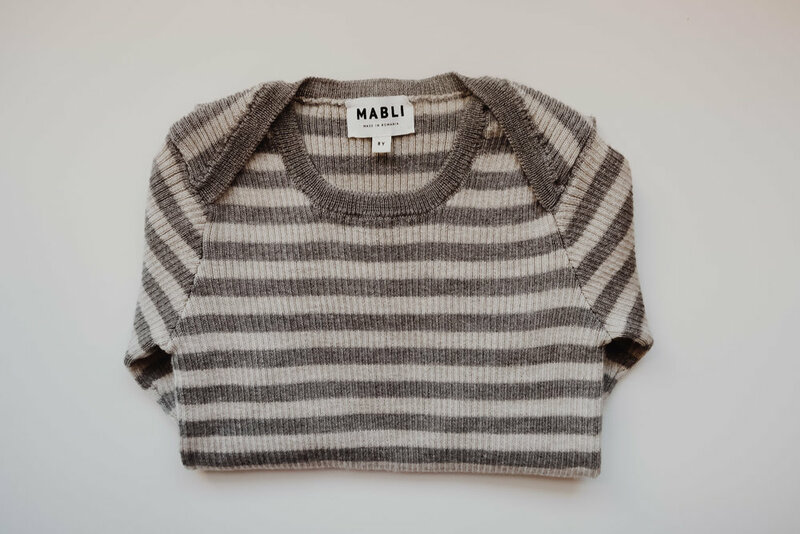 Last year we spent more on thermals for the children, like the Mabli thermal, pictured at the top of this post and it has been a game changer. This year it will be outdoor wear because for us, being outside and staying warm is pretty much a must. And we are willing to prioritise a better lasting wardrobe over buying other things. The items in my daughters capsule, are all clothes that were brought around 12/18 months ago and should hopefully see her through another 6 months at least. I think we will add a warmer pair of trousers, a thicker jumper and the obligatory party dress but that should be it. We don’t have a capsule for differing seasons, so what you see here is everything she owns for daily wear, bar one dress and the outfit that she is currently wearing. At the start of each season however, we do look at what’s there and see if we need to change anything out/add anything more. There are sixteen items in total, that can be layered and mixed and matched together. I love to see what styles my daughter comes up with and we like to make dressing fun, without taking it too seriously. The essentials, including coats and such like, aren’t a part of her capsule but again, we only have what we need. And a final note on laundry. Some would worry that there isn’t enough here, in case of spills or the multiple outfit changes, that many children favour. But since paring down the clothing we haven’t found this to be a problem at all. Things get washed every few days and we have never been in a position, where there is ‘nothing to wear'. So there you have it, a mini minimalists capsule wardrobe - that gets worn pretty much every day of the year and is also a lot of fun. 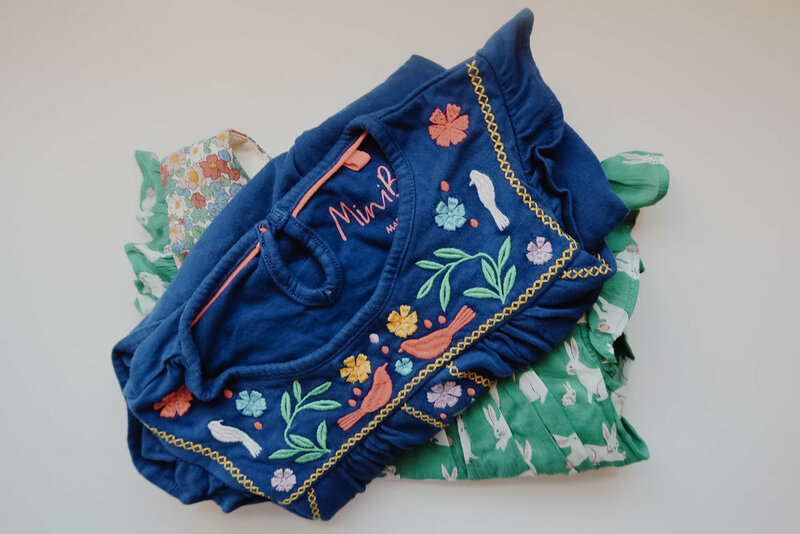 A post on my son’s clothes - along with creating your own children’s capsule wardrobe, will be coming soon and if this is something that interests you, just know that it can easily be done.